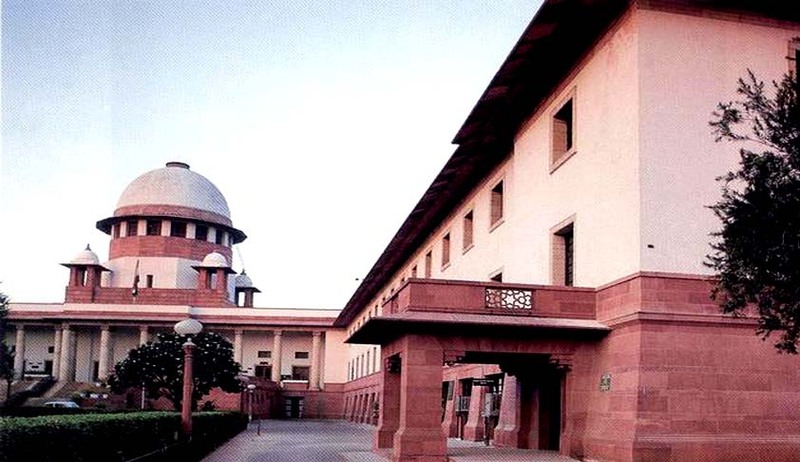 A five-judge constitutional bench of Chief Justice RM Lodha, AK Patnaik, Sudhansu Jyoti Mukhopadhaya, Dipak Misra and FM Ibrahim Kalifulla in a 4-1 majority overruled the Supreme Court’s earlier Kone Elevators decision in tax decision on sales/ works contract distinction [(2005) 3 SCC 389] . The Majority, ruled that the sale and installation of a lift was a "works contract" and not just a "contract for sale of goods" - under a sale of goods contract the entire sale consideration would attract sales or value added tax, while in a works contract no sales or value added tax would be charged on the "service element", i.e., the labor and other costs in installing the lift would be deducted and only the actual cost of the physical lift itself would be subject to the tax. Justice Kalifulla wrote a dissenting opinion upholding the impugned Judgment. By an order dated 13.2.2008 in Kone Elevator India Private Limited v. State of Tamil Nadu and others [(2010) 14 SCC 788] a three-Judge Bench of Supreme Court, while dealing with the writ petition preferred by Kone Elevator India Pvt. Ltd. along with Special Leave Petitions, noted that the question raised for consideration in the said cases is whether manufacture, supply and installation of lifts is to be treated as “sale” or “works contract”, and a three-Judge Bench, in State of A.P. v. Kone Elevators (India) Ltd.[ (2005) 3 SCC 389] had not noticed the decisions rendered by this Court in State of Rajasthan v. Man Industrial Corporation Ltd., State of Rajasthan and others v.Nenu Ram and Vanguard Rolling Shutters and Steel Works v. Commissioner of Sales Tax and perceiving the manifest discord, thought it appropriate that the controversy should be resolved by the larger Bench. “We may hasten to add that this position is stated in respect of a composite contract which requires the contractor to install a lift in a building. It is necessary to state here that if there are two contracts, namely, purchase of the components of the lift from a dealer, it would be a contract for sale and similarly, if separate contract is entered into for installation, that would be a contract for labour and service. But, a pregnant one, once there is a composite contract for supply and installation, it has to be treated as a works contract, for it is not a sale of goods/chattel simpliciter. It is not chattel sold as chattel or, for that matter, a chattel being attached to another chattel. Therefore, it would not be appropriate to term it as a contract for sale on the bedrock that the components are brought to the site, i.e., building, and prepared for delivery. The conclusion, as has been reached in Kone Elevators ((2005) 3 SCC 389), is based on the bedrock of incidental service for delivery. It would not be legally correct to make such a distinction in respect of lift, for the contract itself profoundly speaks of obligation to supply goods and materials as well as installation of the lift which obviously conveys performance of labour and service. Hence, the fundamental characteristics of works contract are satisfied. Thus analysed, we conclude and hold that the decision rendered in Kone Elevators ((2005) 3 SCC 389) does not correctly lay down the law and it is, accordingly, overruled. In the dissenting Judgment Justice Kalifulla said that “if the terms of the contract disclose or lead to a definite conclusion that it was not a ‘Works Contract’, but one of outright sale, the same will have to be declared as a ‘Sale’ attracting the provisions of the relevant sales tax enactments. Therefore, based on the conclusions arrived at and having applied the above principles to the case, and having regard to the nature of the terms of the contract displayed, it was held that the manufacture, supply and installation of LIFTS/ELEVATORS comes under the definition of ‘Sale’ and not ‘Works Contract’ and the decision in Kone Elevators (India) Pvt. Ltd. had been correctly decided”.